One of the biggest challenges that future newlyweds face with is the purchase of wedding rings, which will symbolize their love and devotion. Fortunately, the modern jewelry market offers a huge variety of rings models. 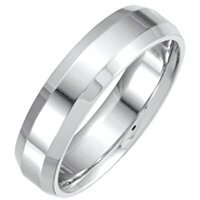 Wide selection of Classical Wedding Bands for men and women in gold, palladium, platinum or combination of these metals. Select men's and women's classic wedding bands in white or yellow gold. Find your perfect 18 karat gold classic wedding band in our extensive collection. Shop our collection of platinum wedding bands in timeless classic styles. 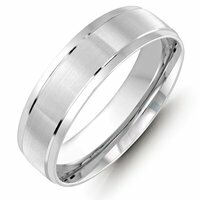 Search the huge Selection of unique designs titanium men's wedding bands. The exact origin of the first classic engagement rings is unknown. However, it is commonly believed that this wonderful tradition of exchanging rings appeared in the ancient Egypt. Scientists have come to this conclusion due to the archaeological discoveries that are more than 3 000 years old. Egyptians produced rings from gold and exchanged them during a wedding ceremony. They believed that a ring finger contained a vein that led directly to the heart. The tradition of exchanging gold wedding bands with your significant other continued in Western civilization around the 13th century. Whether carved or two toned, each of our classic wedding bands is exquisitely manufactured, which is why our product has the finest quality and a lifetime warranty against manufacturing defects of any kind. 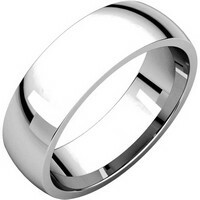 Our classic wedding bands come in a comfort fit for the most comfortable wear. We've taken decades to master manufacturing of wedding rings with distinct, high-quality metals. Every wedding ring purchased from our website is made of completely solid (not hollow) 14kt and 18kt gold, platinum, or palladium. We offer our clients only the brightest, beautiful and unique rings of both male and female models. Besides, if you have some doubts or questions, our qualified specialists will provide the necessary consultations with great pleasure. They will help make a choice that will satisfy you and your best half, and remind you of the most important day of your life together.